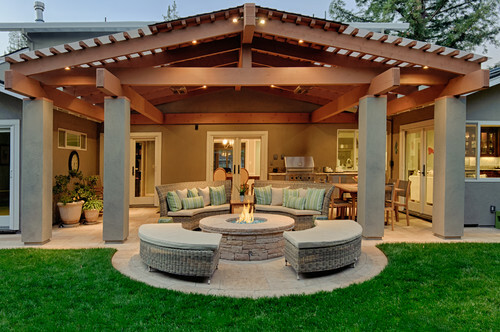 Looking for that perfect finishing touch (or perhaps statement piece) for your backyard? 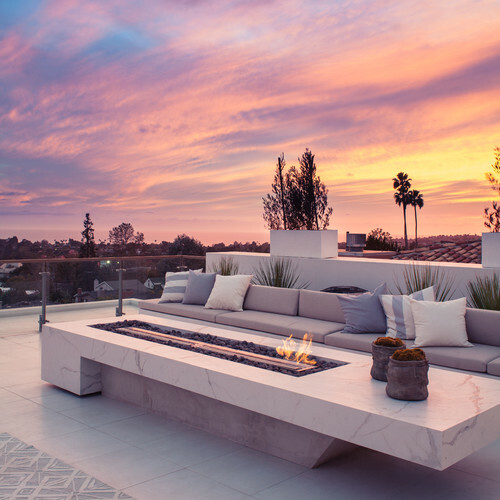 If you envision leisurely family nights, romantic evenings, awesome laid-back parties, lazy summer barbeques, or formal gatherings, there’s one addition that does it all: a fire feature. 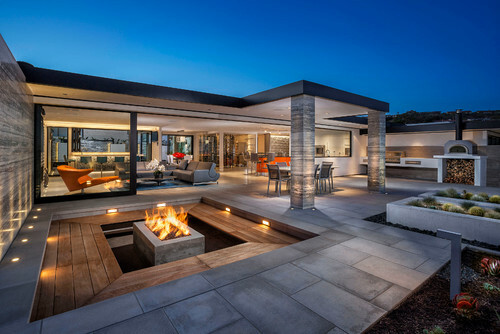 To most common folk, a standard prefab fire pit or, to take it up a notch, fireplace will do it. 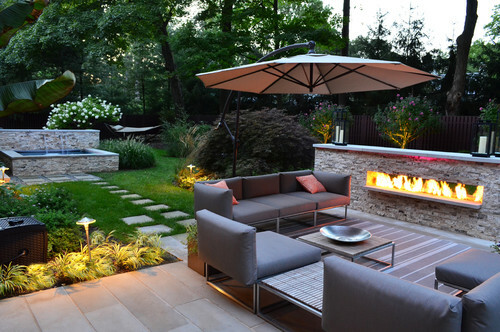 For others, a full-fledged fire feature is often the defining characteristic of a backyard. A fireplace or other flaming feature is perfect for virtually every season: a gathering place for roasting marshmallows on hot summer nights and a cozy spot for crisp fall and spring evenings (and even winters, for the brave or the warm-climate residents). It’s like having a living room outside! 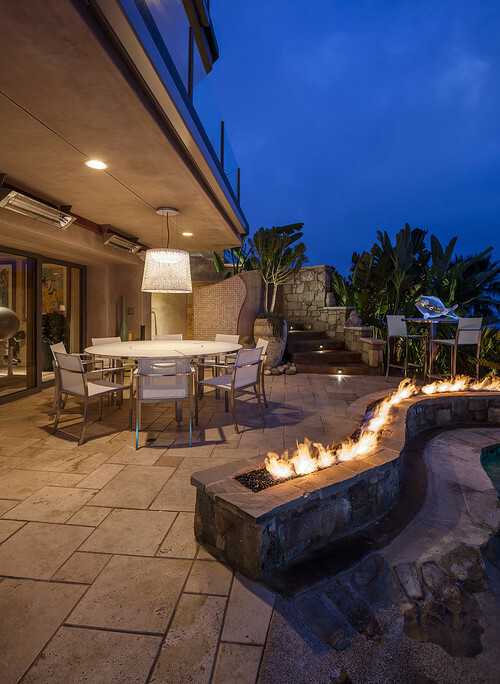 Check out these incredible fire features to start planning yours. 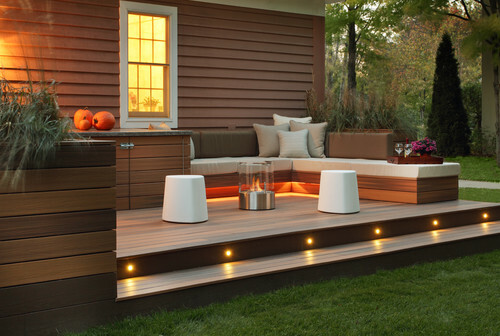 Deck by Sarah Gallop Design Inc. 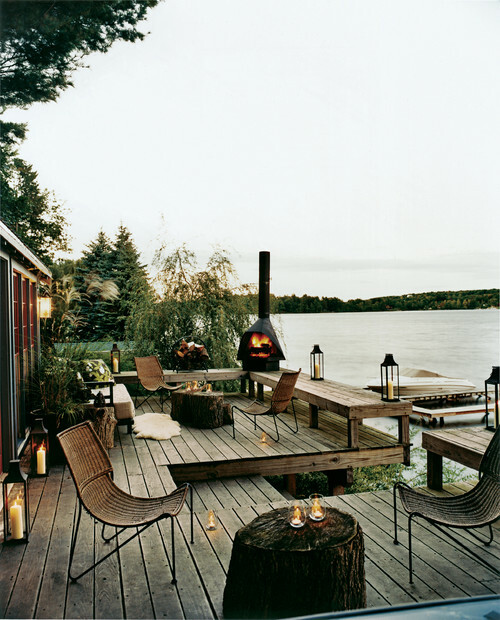 The table/fireplace takes this deck up to the next level. 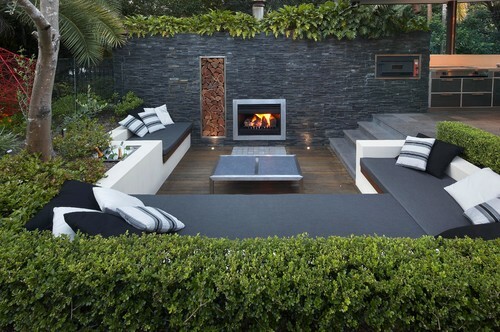 This super-sleek fire pit practically disappears. 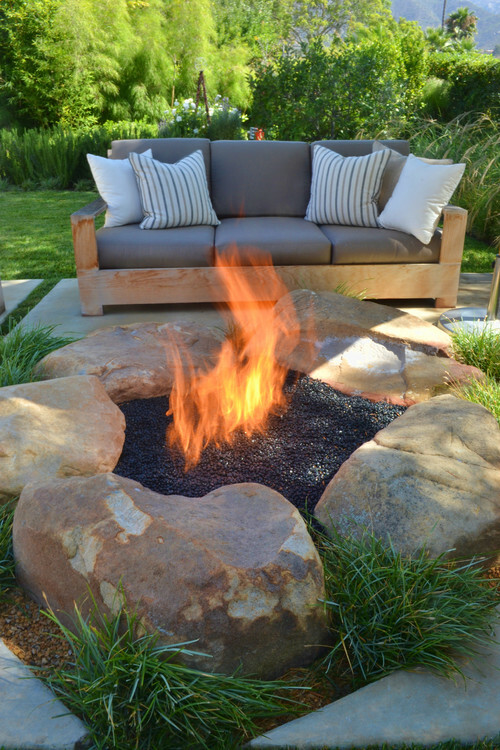 A back-to-basics fire pit, elevated. Built-ins in an unusual configuration? Bonus points! How’s that for a perfect rustic potbellied stove? 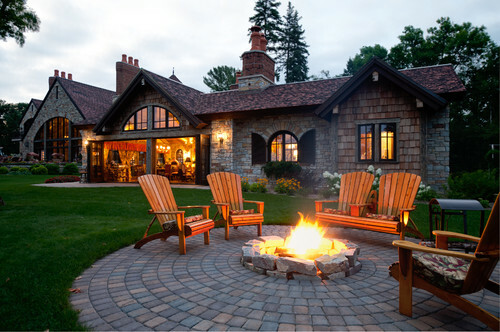 Adirondack chairs surrounding a fire pit. Can you get more of a cozy-campfire vibe than this without an actual campfire? The fireplace is not the #1 feature of this space; it’s that perfectly-fitted recessed firewood holder. 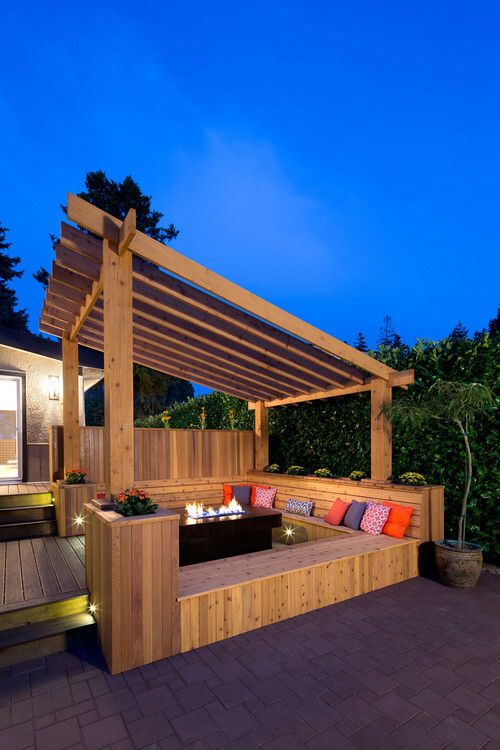 Patio by Creative Design Plumbing, Inc. Concrete jungle meets summer camp in this gorgeous sunken fiery lounge.